This October, the discerning drinkers of the Capital are set to embrace the buzzing cocktail culture with the UK’s biggest drinks festival, as London Cocktail Week kicks off and celebrates its fifth year. As part of this year’s event, hand crafted, premium bourbon Maker’s Mark is excited to announce an exclusive cocktail tasting at ‘Steam & Rye’ on Thursday October 9th. 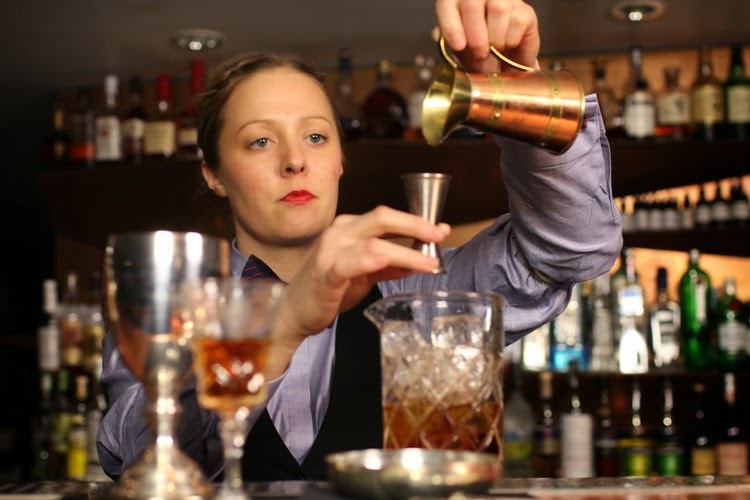 A handful of the city’s bourbon connoisseurs will be offered the chance to participate in this pop-up tasting, hosted by renowned Mixxit mixologist Amanda Humphrey. Guests will be welcomed into the world of this precious liquid with a Maker’s Mark Old Fashioned cocktail and given an inspiring and educational introduction to the brand. Attendees will be treated to an interactive tutorial on creating a selection of signature serves followed by a chance to hand-dip their very own Maker’s Mark bottle in the iconic red wax. At the end of the session, guests will be given an exclusive set of Maker’s Mark goodies to take away and continue the experience at home. Tickets are available to owners of a London Cocktail Week wristband for £15 via www.londoncocktailweek.com/events.